I had a lot of fun during this photo shoot session. Trying to find the perfect scenery around in the area was a bit of a challenge. After a 1/2 mile walk in 3' heels, found the perfect spot. Funny how during the photo shoot, I found myself climbing rocks, stepped on some dirt mounts that I was sinking in, gathered leaves to throw up, etc. putting myself in pretty risky situations, but it's all good. So this is the outcome of my photo shoot. 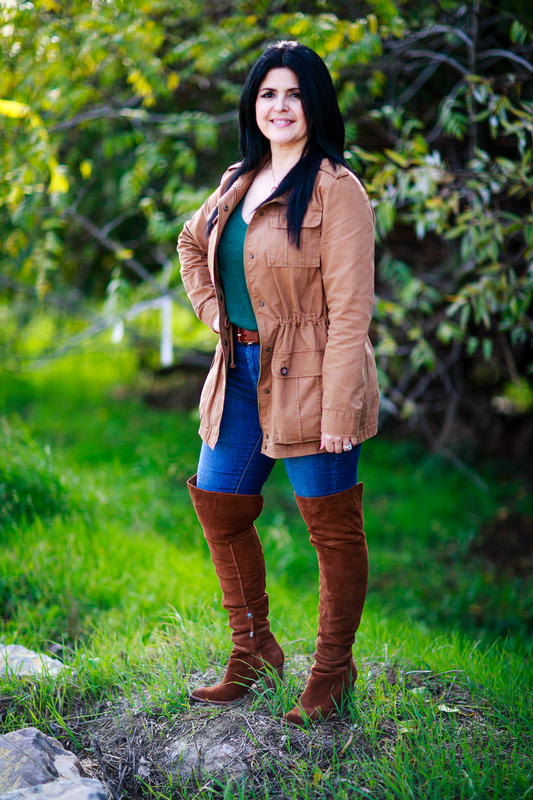 My favorite wardrobe pieces to wear in cool weather are boots, scarves, leggings, and sweaters. Nov 24 Pre-Black Friday and Black Friday Sales, Sales, Sales!! !